We are running out of licenses but how do we know which users or devices claimed them? We have a tight budget and don’t want to buy any more licenses then strictly necessary, how can we get better control and insight in the current usage? What is the balance between User licenses and Device licenses? 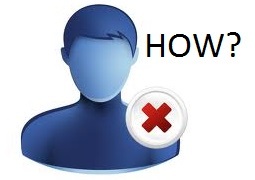 We created some temporary accounts for testing purposes, how can we release them? In other words, you need to run UDadmin GUI on the same machine as where Citrix License Server is running, this is because Citrix doesn’t support running UDadmin remotely. 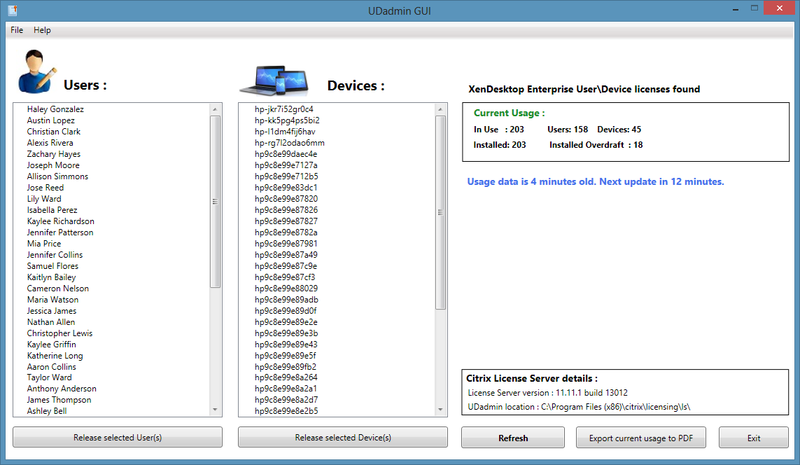 UDadmin GUI works with XenDesktop Enterprise and Platinum edition, support for App edition will be included in a future version (very soon!). Just like the UDadmin command line tool, UDadmin GUI needs administrative privileges to run properly. But don’t worry UDadmin GUI is UAC aware and will prompt you when necessary. UDadmin GUI has been acquired by Infralogic Inc. and is now integrated to a CMDB platform named CtxUniverse, under the License Manager module. You can download the latest version on the Infralogic website.